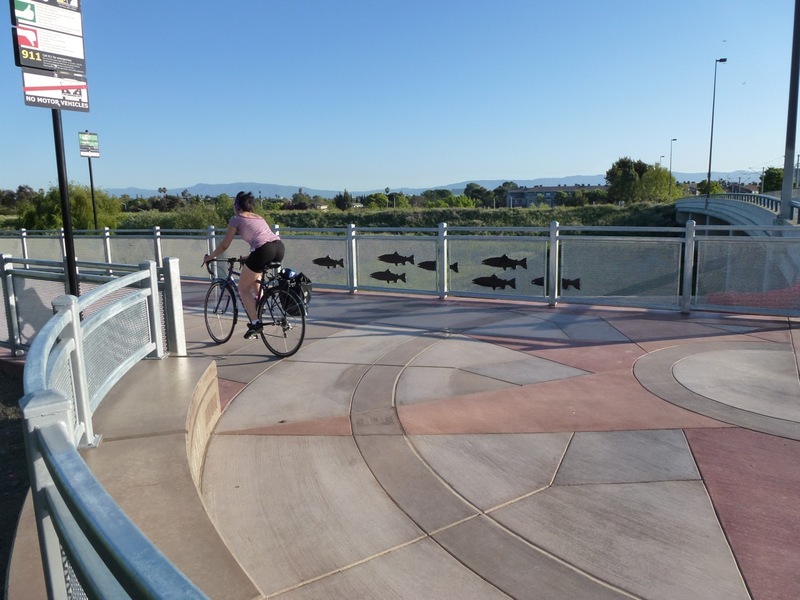 San Jose already has one of the nation’s largest urban trail networks with over 50 miles developed throughout the 10th largest city in the nation. 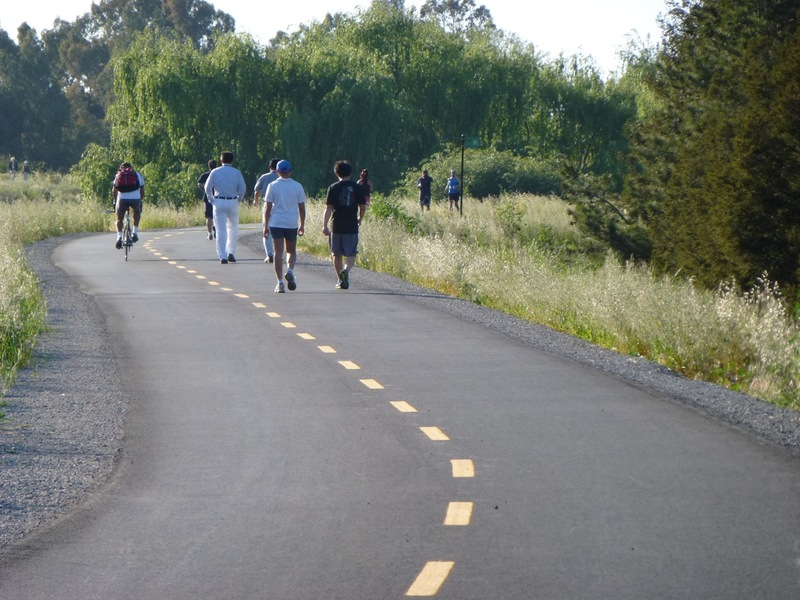 But that doesn’t stop San Jose staff from extending and improving trails city-wide to meet San Jose’s Green Vision for a 100-mile interconnected trail network by 2022. The trail project is defined by a 12’ wide band of asphalt and gravel shoulders to support high usage and a variety of needs. 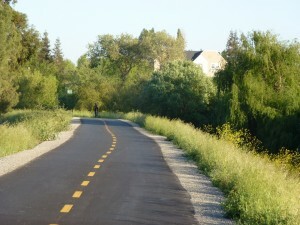 But the Lower Guadalupe River Trail also employs the City’s newest thinking about trail development. 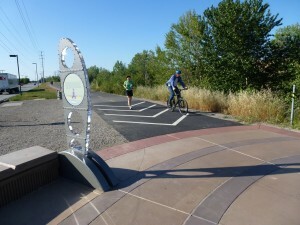 It features highly reflective centerline striping which supports evening commutes. There’s route guidance signage, providing useful information from where restrooms are located to the nearest food establishments. 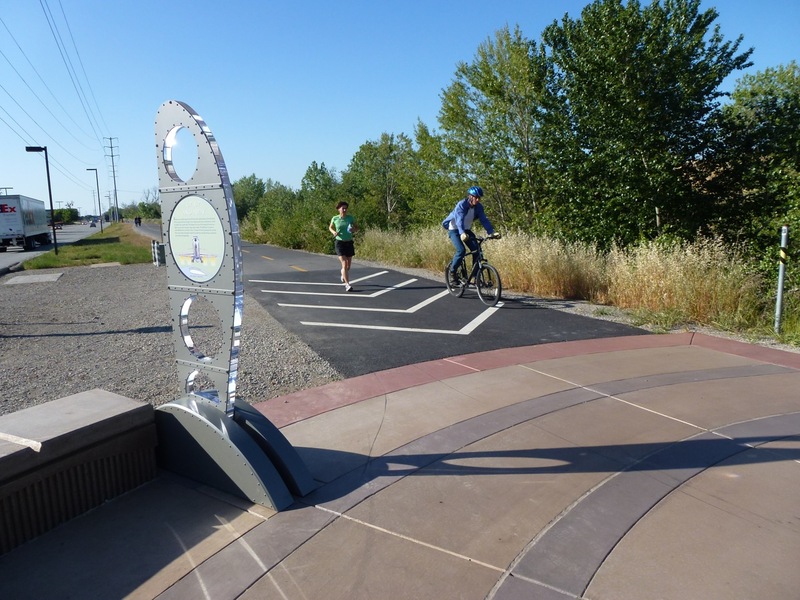 The trail project is visually distinctive with its compass-like icon rendered in colored pavement and occurring at all roadway entries. 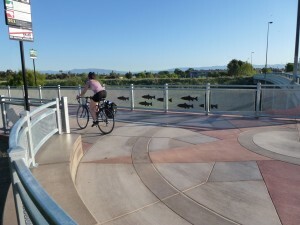 A large plaza along Airport Boulevard includes three wing-like structures that educate trail users about the Airport’s history and the science of flight. The wings sandwich acrylic plastic that captures and refracts the light onto the plaza throughout the day. 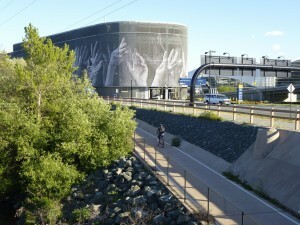 Trail users now get the best view of San Jose’s largest public art piece, namely the “hands” on the Airport’s garage. 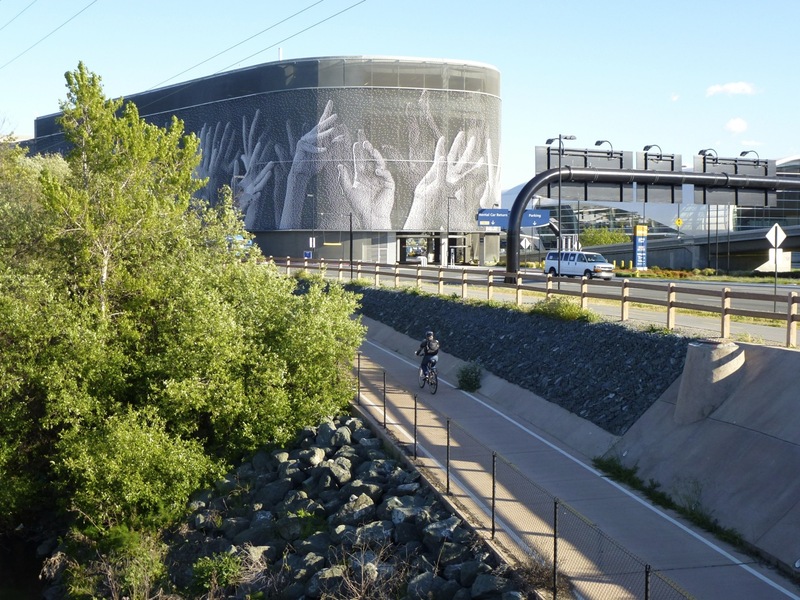 Later this summer, trail users will enjoy a new piece to commemorate “Lupe” the Columbian Mammoth – recalling a discovery of mammoth fossils in the river channel several years ago. Here are several pictures, taken in April of 2013 on the occasion of the dedication of the paved link between the airport and Alviso.